to suit the needs and wants of our guests. We have a passion for our profession. Shampoo, moisture treatment and hairdressing. 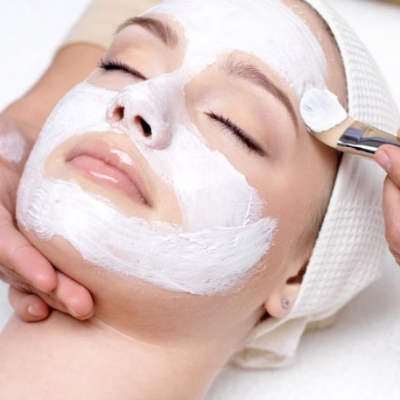 These facials are customized to each client’s unique needs. From dry, oily, aging, hyperpigmented, or acnaic. These facisls give results to all skin types. Specific skin care indredients and applications are chosen to fit you and your lifestyle. Every inch of the face, neck, and decollet’e are adressed in all facial services. All facial services are performed with Davines comfortzone professional use products. Fragrance, Animal, and Dye Free. Lashes that look, feel and wear like your own beautiful lashes. A relaxing 1 1/2 hour session. Great for special occasions and daily wear . Water Resistant shower and swim worry free. Comes in various lengths, and thicknesses. LASH candy adds some glimmer and shimmer to your already fabulous lashes. The hottest trend in the eyelash industry. Luscious lifted lashes that will last for weeks, in the blink of an eye. Your trial appointment allows you the opportunity to experience a variety of hairstyles. Bring pictures of styles you like and those you don’t. Veil, ornamentation, and/or hairpiece should be brought to this appointment. Photos will be taken for reference. On the day of your Wedding celebration your stylist will dress your hair based on the decision that you made on your trial day. You may include a hairpiece as part of your hairstyling to add volume, height, and or length. We offer a wide range of colors to achieve the appropriate look that you desire. Color choices and application is applied with the photographic appearance in mind. Airbrush makeup is designed to set instantly on contact without setting powder. Create a flawless pixilated matte coverage that lasts for over 18 hours. The look is natural…. little dots of coverage mimic and blend with the skin’s natural pigmentation. Color choices and application is applied with the photographic appearance in mind. Travel distance and the number of stylists will determine the amount of this fee. We stock a full line of makeup products to achive the most natural look, and the trendy extreme. Airbrush makeup is designed to set instantly on contact without setting powder. Create a flawless pixilated matte coverage that lasts for over 18 hours. The look is natural… little dots of coverage mimic and blend with the skin’s natural pigmentation. Starting at $40.00 – price varies by size and complexiity. 1/2 off tattoo cover-up with the purchase of full Airbrush Makeup. or odors. Leaves hair softer, silkier and shinier. Less maintenance. Reduces daily styling time. Never have a bad hair day Brazilian Keratin Treatment is a revolutionary treatment for all hair types frizz free for up to four months. Our human hair extensions are of the highest quality. Wash, dry and thermal style as you would your own hair. The pre-tipped keratin bond is made of a keratin protein. 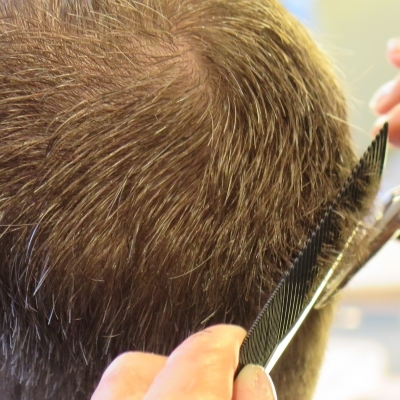 The I-tip uses a metal tube which is clamped, locking it to the hair. Lengths 12” – 22”. The newest in the hair extension world is the Skin Weft. The weft is two inches wide and is applied with a strip bond. Skin Wefts are reusable. Lengths 12” – 22”. Human hair clip-ins require no bonding, and are effortless to place in the hair. Lengths: 12” – 22”. it will require an overload of styling product. A True Haircut will have a shape when wet. Styling will be effortless. Styling agents are only needed to accentuate the True Haircut. and the educated should be handling your most precious asset. Located in Milwaukee on the eastside’s historic Brady Street. Halo Hair Spa is bringing to the city the best of the best in services and products. Our specialty services Feature The Brazilian Blow out, Keratin Hair Smoothing, Eyelash Extensions. Mink Eyelash Extensions, 50% off Full set Eyelash extensions. Hair Extensions, Skin Weft Extensions, and airbrush make-up. We search out to find the products that are good for your hair and skin. 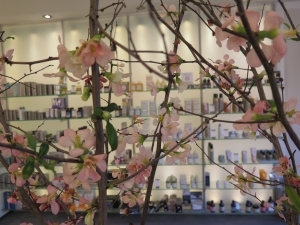 Davines, Olaplex Hair treatment, Blinc, Cailyn cosmetics,Comfort zone, Jane Iredale The Skin Care Makeup, Brazilian blowout, Davines Comfort zone skin care products & services are available.